Just two weeks ago, the Disney ABC Television Group told about 30 to 35 application developers that their jobs were being moved to an IT contractor with large offshore operations, Computerworld reported. 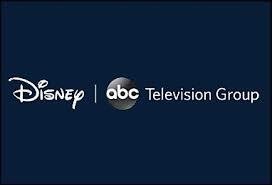 But on Thursday, the Disney ABC TV Media Technology & Strategy development team told the developers that their layoffs were being rescinded, it said citing a Disney ABC source although a Disney spokesperson declined comment. The employees were notified of their impending layoffs on May 28. Some had already begun working on the “knowledge transfer” process of training employees of IT services contractor Cognizant Technology Solutions, a US-based firm with major offshore operations, it said. One affected Disney ABC IT employee cited by Computerworld speculated that Disney’s change of heart the decision is linked to the uproar over the outsourcing at another division, Parks and Resorts, which runs the theme parks. “They (Disney officials), want this to go away — right now,” the unnamed IT employee was quoted as saying. In April, Computerworld reported how IT workers at Disney Parks and Resorts had to train their replacements, some of whom had recently arrived from India, as a condition of receiving severance. On Friday, the New York Times reported that the US has opened a visa violations probe into Tata Consultancy Services and Infosys for workers contracted to an electric utility, Southern California Edison, which recently laid off more than 500 technology workers. “Many said they were made to train replacements who were immigrants on temporary visas, known as H-1B, brought in by the Indian firms, Tata Consultancy Services and Infosys,” the influential daily reported. Earlier on June 3, the Times had reported that around 250 Walt Disney employees had been laid off and replaced with Indians holding H-1B visas. “Many of their jobs were transferred to immigrants on temporary visas for highly skilled technical workers, who were brought in by an outsourcing firm based in India,” it said. The layoffs at Disney, Southern California Edison and other companies, “are raising new questions about how businesses and outsourcing companies are using the temporary visas, known as H-1B, to place immigrants in technology jobs” in the US, it said.